Duende V3, DSP Board from SSL in the Duende series. Duende V3 doubles the power that the Duende platform can be upgraded to with the introduction of an entirely new audio engine, according to SSL. Duende's new Hybrid Core Processing engine is designed to combine all of the advantages of dedicated DSP with use of your computers CPU processing power. V3 enables users to upgrade Duende Mini to 64 channels and Duende PCIe to 128 channels. Hybrid Core Processing is one of the first professional audio engines to make full use of the latest generation of Intel processors. Duende V3 requires Intel Core 2 (or equivalent power processor for PC owners) or Intel Mac based (for Mac owners) computers to run. Customers with computers utilising older, or lower powered processors will not be able to run Duende V3 software or run the new generation of SSL plug-ins. X-Verb is designed to deliver the density, warmth, depth and detail usually only associated with high class hardware reverb units. 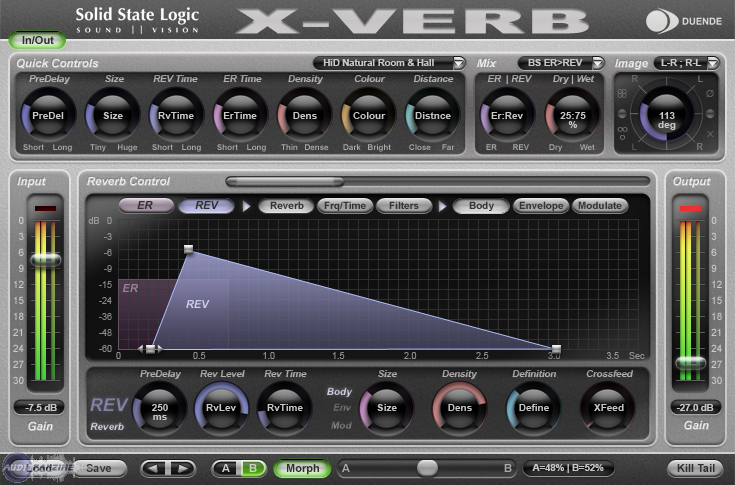 The power behind the quality of X-Verb is simple; it is not a Convolution Reverb based on impulse responses, it is a true Reverberation Generator based on unique SSL algorithms. Unique SSL Reverb Algorithm Engine. 4 Core Algorithms create a complete collection of processors. Quick Controls Panel to easily alter the 200 Presets. Graphical User Interface to access detailed parameter set. Unique automatable Morphing feature to dynamically morph from one preset to another. Uses 4 Duende slots per stereo instance. 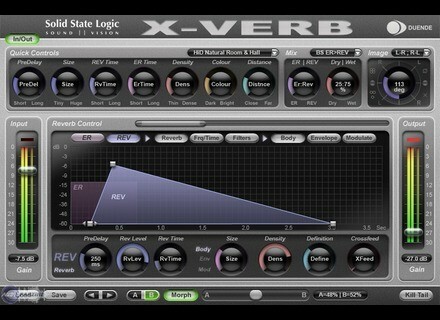 X-Verb will be available from May 2009 exclusively from the Solid State Logic web store priced £220 + Tax. NTS Audio UDLG-1 NTS Audio has updated UDLG-1 to v1.2. [Musikmesse] Submersible Drumcore 3 Submersible Music has announced that it has started shipping version 3.0 of DrumCore. [Musikmesse] VSL Ensemble PRO The Vienna Symphonic Library has introduced a major upgrade to its MIDI and audio LAN solution Vienna Ensemble 3, changing its name to Vienna Ensemble PRO.